One-hundred ultimate "24" fans will get the opportunity to set a Guinness World Record starting Thursday evening. Fox Home Entertainment is sponsoring the event that, when over, will hand out $10,000 to the last remaining participant. The "24" Marathon Challenge and Fan Fest will host 100 fans in a custom-built Plexiglas home theater to watch consecutive episodes of "24" until they literally can't watch anymore. The last remaining fan will win $10,000 cash and most likely hold a new world record for longest time to continuously watch television. The current record belongs to Netherlands resident Efraïm van Oeveren who watched TV for 86 continuous hours. A news release by Fox Home Entertainment mentions that cast members from the show will be making appearances, but there has been no confirmation on when they will visit, or even which cast members will show up. According to the official 24 Facebook page, the 100 allotted spots for the contest were filled in less than three hours. The official rules for the contest state that contestants are not allowed to sleep or leave the viewing area at any time other than during designated rest periods. Food, water, seating and anything else participants will need during the competition will be provided, and as a result nothing will be allowed into the viewing area. Fans who were not able to register for the event may go and watch at the Hollywood and Highland complex. There will be original props, bonus footage and cast members at the event for the public. 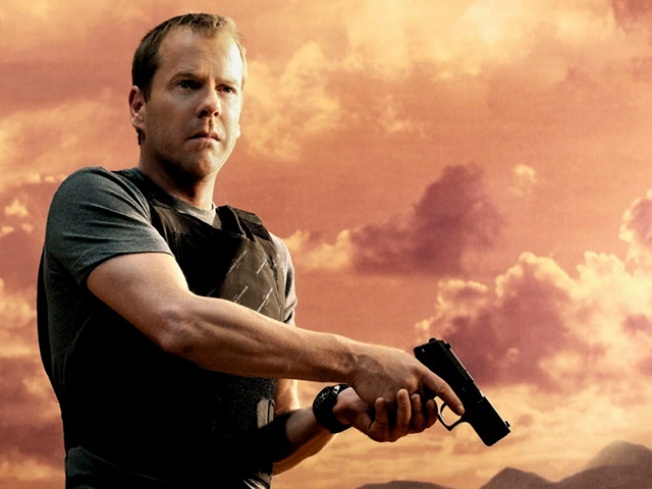 "'24' The Complete Series" will be available on Blu-ray and DVD on Dec. 14. You can pre-order it on Amazon and receive it the day it comes out.